Danish artist Anne Harild is nominally an illustrator (who studied at the University of the Arts London and at the Royal College of Art), yet her work challenges many interpretations of the term. 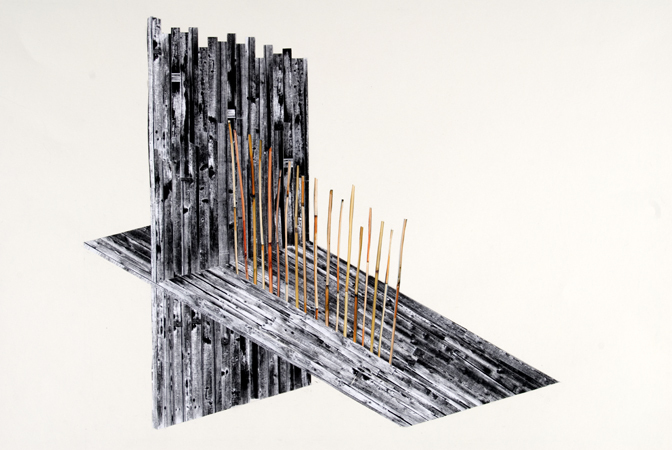 We featured her work in the most recent issue (see Rick’s ‘Risk and ritual’, Eye no. 71 vol. 18) and mentioned her briefly in an Eye blog about the MAP / Making event at the RCA in November 2008. This is work that defies conventional description, making no attempt to be ‘cool’ or even ‘edgy’. Harild’s short animations, in collaboration with contemporary composers Edmund Finnis and Orlando Higginbottom, seem like short, animated dispatches from an unknown future, not so much Monsters vs Aliens as ‘objects versus spaces’. Listen on headphones (these sounds are NSFW, if you work somewhere quiet) and take in the nuances of Finnis and Higginbottom’s unsettling soundtracks. Disney it’s not (though there are faint echoes of The Sorcerer’s Apprentice in Morandi Room). Film: Anne Harild. Sound: Edmund Finnis and Orlando Higginbottom. This was commissioned by the Royal College of Art for the event ‘MAP / Making - Looking to the Future of Music, Art and Performance’ at the RCA Gulbenkian Gallery, Nov 2008. This was a part of MAP / making’s ‘On The Edge Of Life’ event at the Bath International Music Festival, 2007.